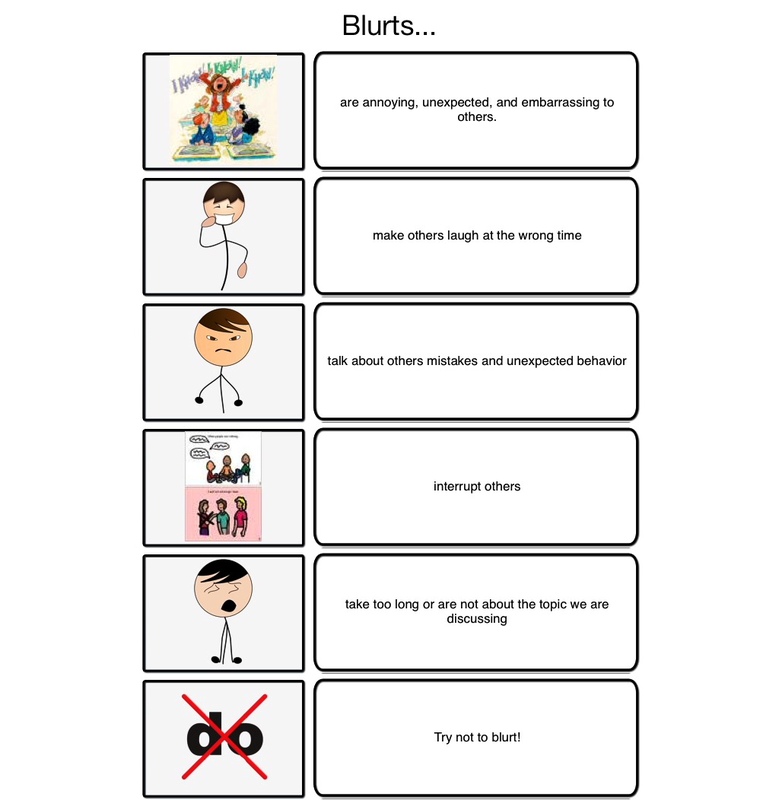 Blurts are not fair. Cutting in with words is just like cutting in line. 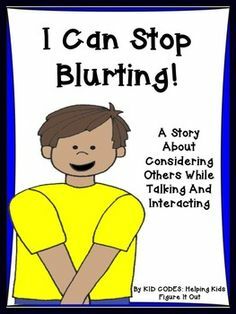 Blurts are annoying and make classmates feel uncomfortable. 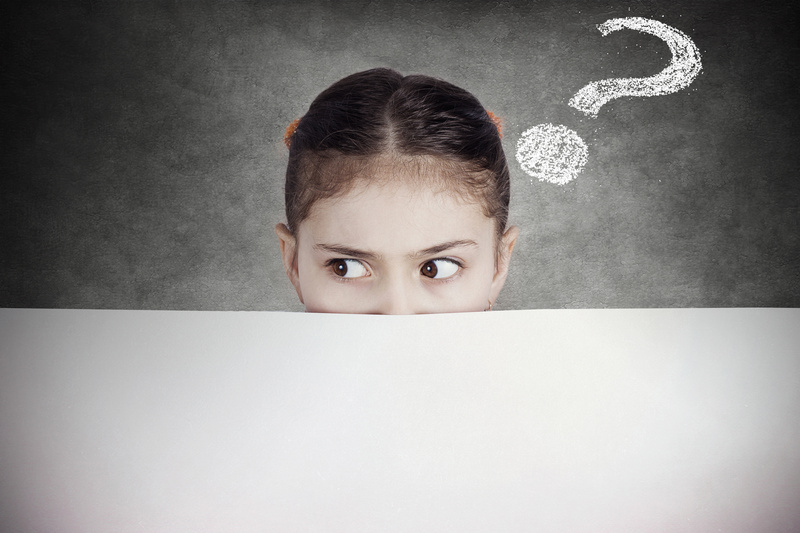 We must explain why it is unexpected to blurt and model what to do instead. Sometimes we get raised eyebrows and our colleagues are skeptical. We hear, “yoga is all well and good, BUT…”. Is it because yoga doesn’t look like “therapy”? Self-Regulation is an essential life skill and self-regulation is what we see as the primary benefit of our yoga time. Yoga helps to stabilize emotions, manage stress, sustain focus, and increase peer connections. 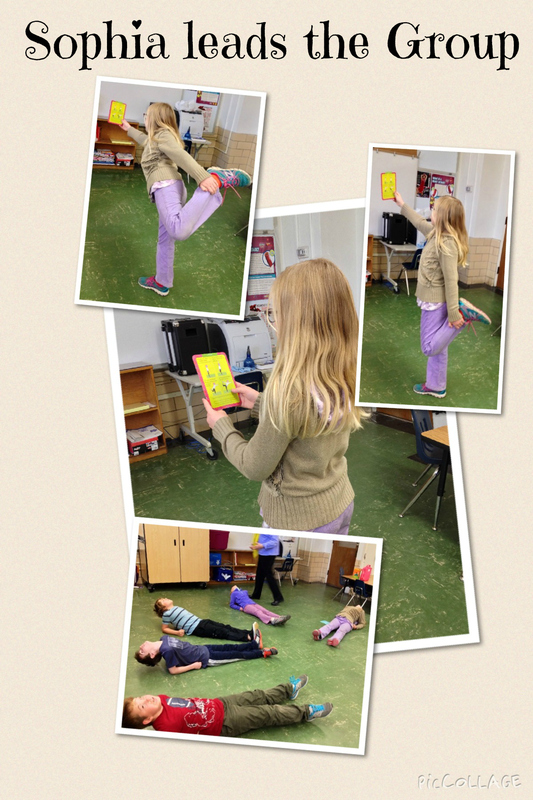 The practice of yoga has helped our students become more self-aware. Most of them can verbalize how yoga supports the regulation of thoughts, feelings, and behavior. Check out http://www.gozen.com for fun mindfulness and anxiety relief exercises. 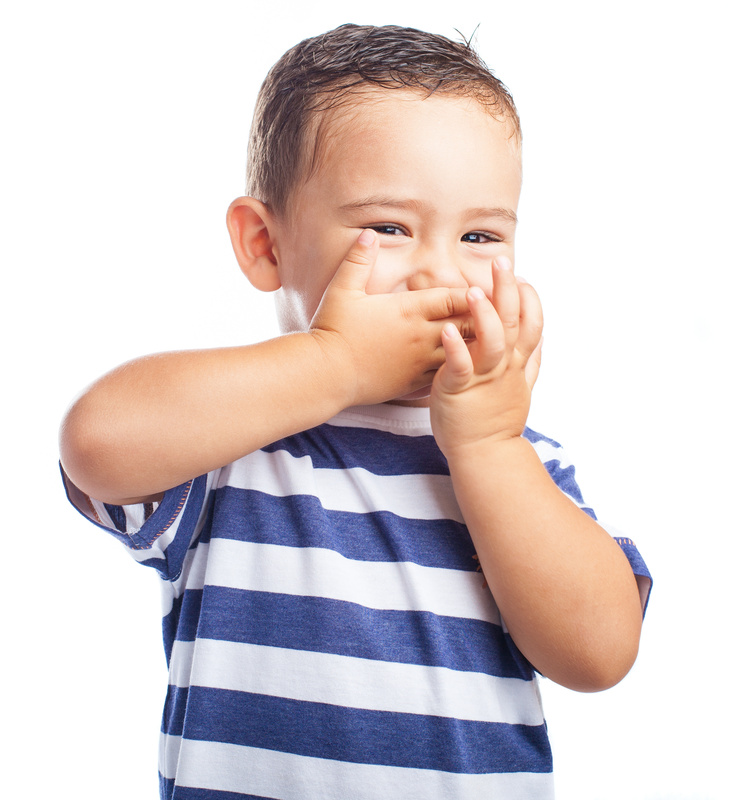 Here is a link for alternate nostril breathing A Mindful Minute: A Funny-Looking, But Powerful, Breathing Exercise for Kids | GoZen! 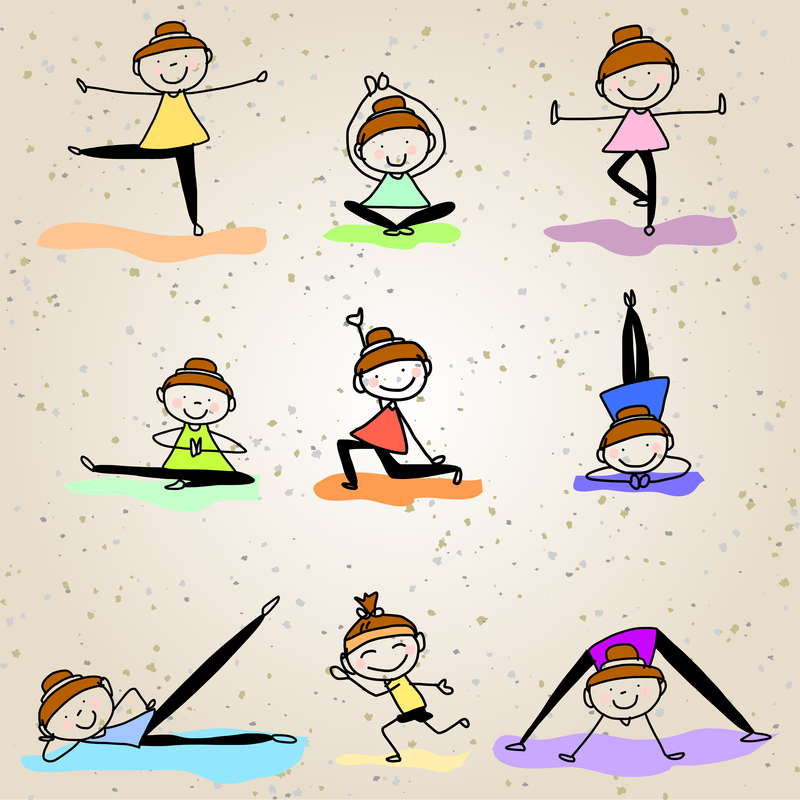 While we are snowed in and probably struggling to self-regulate, try some yoga! There are numerous benefits of perspective taking. When we consider the world from outside ourselves we are better at problem solving, decision making and resolving conflicts. 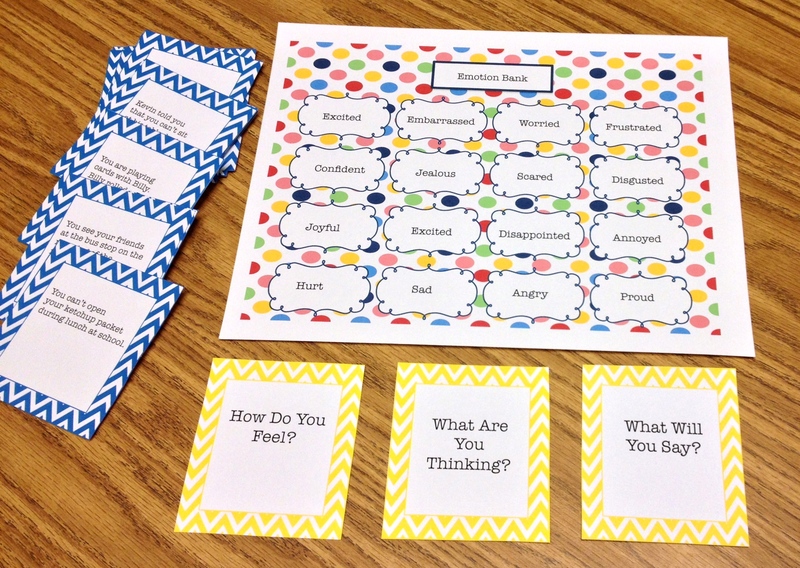 Perspective taking is thought to lead to helping behaviors and empathy. 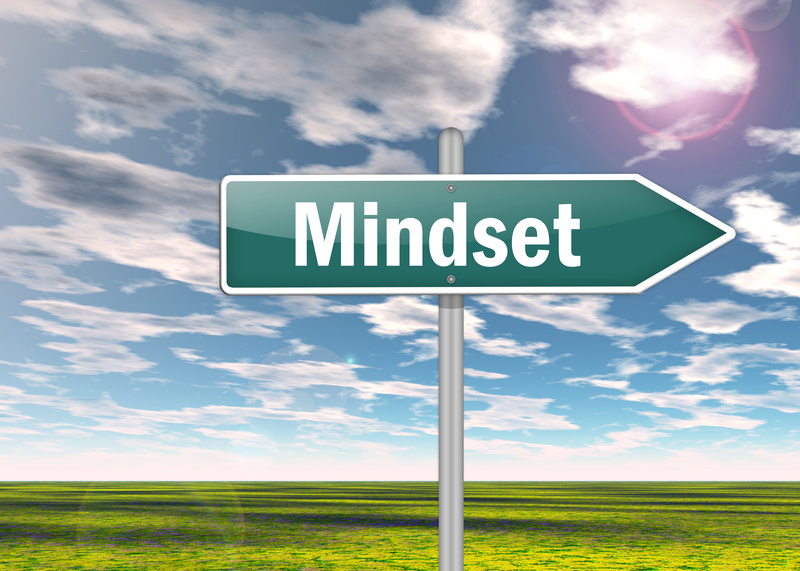 When we can see “the big picture” we are more likely to think flexibly. Perspective Party is indeed a party. Such fun practicing flexible thinking when we perceive someone else’s thoughts and feelings in a variety of social scenarios. 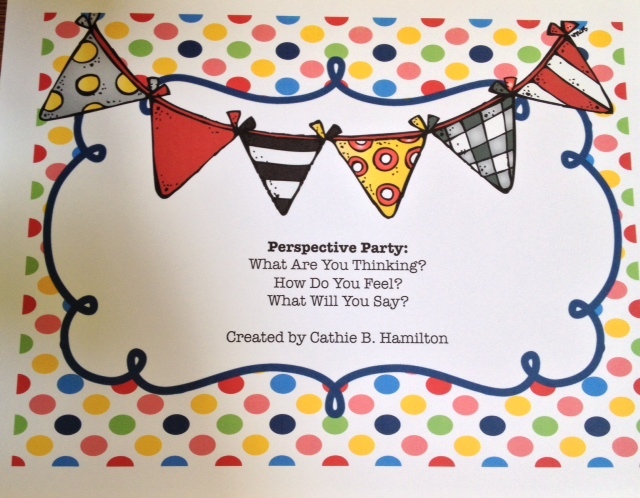 Find this great activity at https://www.teacherspayteachers.com/Store/Fricative-Party-For-Speech-Pathologists. 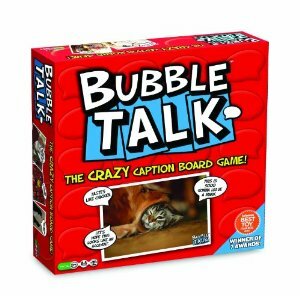 Bubble Talk is a great game for helping kids consider what someone else is thinking or saying in a given picture. 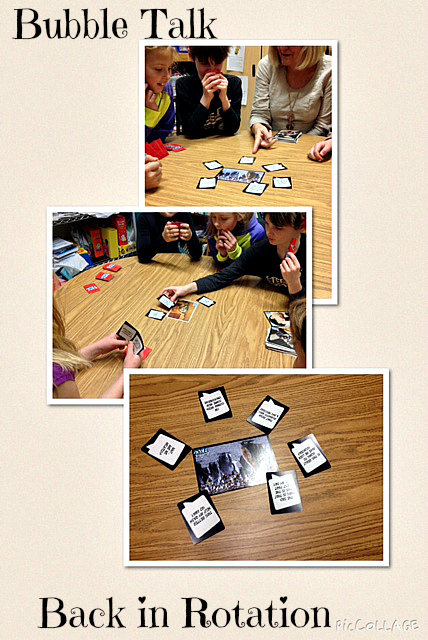 When we play, we use perspective taking to make smart guesses about which caption the judge will choose as the best. Enjoy the President’s Day holiday tomorrow. Try to stay warm and fingers crossed for an extended holiday on Tuesday. 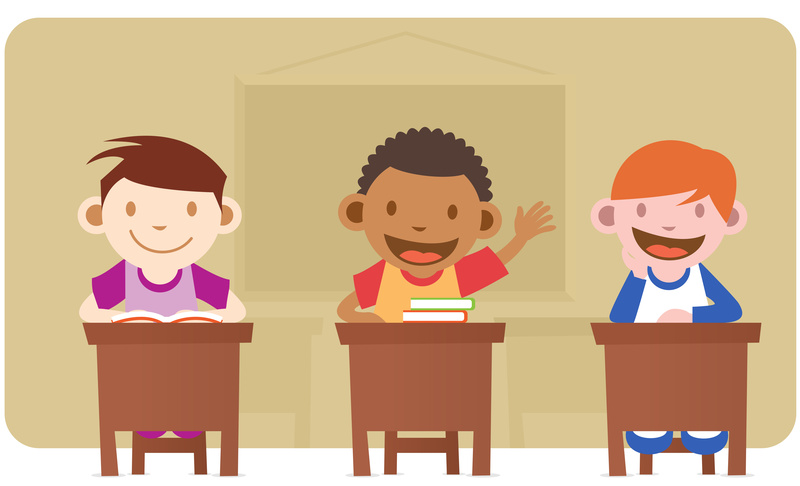 Most of the Lunch Buddies are nine and ten year old boys. So, you know that “gas happens” during our groups. 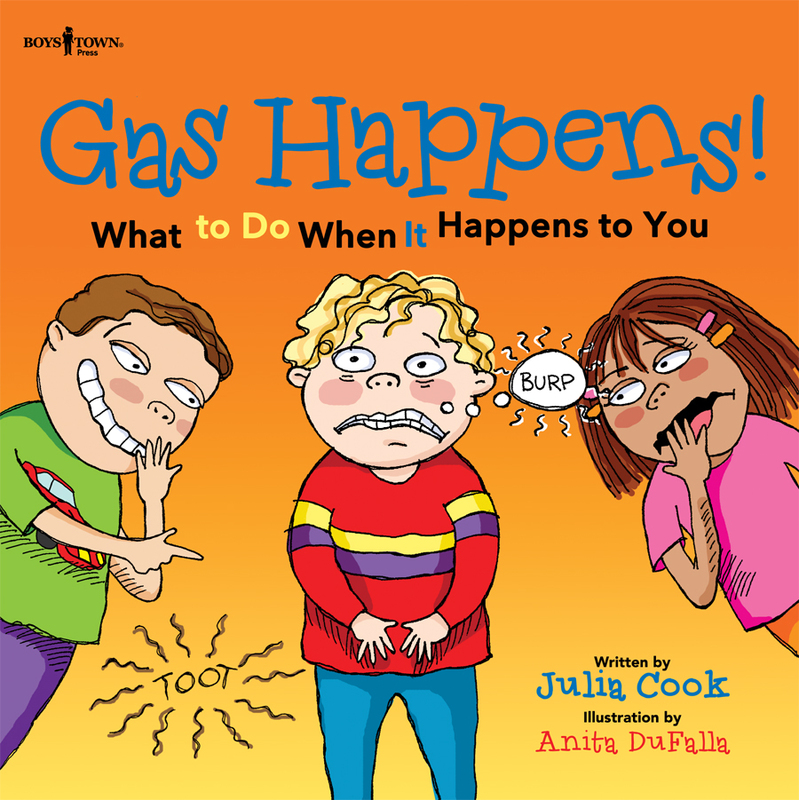 I was thrilled when I found Julia Cook’s latest book, Gas Happens! What to Do When It Happens to You. We all enjoyed the book and could definitely relate to Gus’s problem. The book contains a brief biology lesson and we learned that experts say we all pass gas at least 14 times a day. It happens to all of us and we need to know how to deal with this natural event the right way. “Just say, “excuse me”! or if you are the victim, ignore it. All creatures pass gas, with 2 exceptions. Ask your Lunch Buddy to tell you what they are.